I remember going to Disney World in Florida when I was 14 years old and what a blast it was. I have always wanted to go back and bring my kids. I know they would LOVE it there. My partner, John, has never been there before and he has mentioned that he has always wanted to go. Oh, what I wouldn’t give to get away right now into some nice, warm weather. I am sick and tired of all this snow and cold. I guess if I start saving now, we may be able to go in the next year or so! If you are thinking about going on a Disney World Vacation, then you need to check out the discounts offered by DestinationsInFlorida.com. They are offering special discounts on Disney World packages! Just make sure that you mention the rate code Mommy when pricing your trip so the agent knows to give you the special discounts and free perks. Yes, I did say “free” so not only do you get a discounted rate, but they will also give you a special Mommy Pack! The Mommy Pack includes a Disney Park autograph book (one per child), one Mickey Mouse ears hat, and autographed pictures (personalized to each child and signed by Mickey Mouse). These Disney souvenirs are from the Magic Kingdom Park and are only available to the Mommy Blogger participants and their readers. 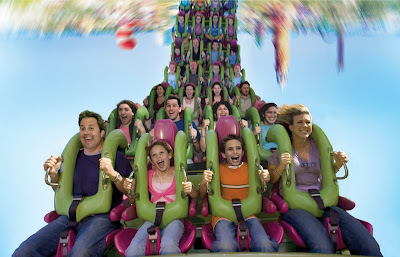 The Disney World Vacation Packages with DestinationsInFlorida sound amazing! I will definitely be booking our trip through them and taking advantage of this special offer. 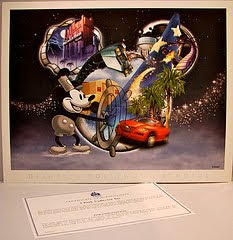 DestinationsInFlorida.com is offering a set of 4 Disney Parks Limited Edition Lithographs featuring special attractions from each Disney Park (Magic Kingdom, Epcot, Disney’s Hollywood Studios and Disney’s Animal Kingdom Theme Park) and Mickey Mouse. Tinkerbell also spreads pixie dust through all the lithographs and makes an appearance at the last lithograph with Mickey. These lithographs are sold at the Disney Theme Parks for $75.